Foodservice Australia has called it a wrap for another year, delivering a massive, 300 exhibitor-strong trade show complete with culinary masterclasses, elite competitions, and conferences. Running from May 27 to May 29, event director Tim Collett was thrilled to see the expo transform the ICC Sydney at Darling Harbour. He says, “We had a huge range of exhibitors and must-see events, and that helped to draw a crowd larger than ever before. Exhibitors agree with many doing business with new and existing customers during the show. "We have captured more than 70 high quality leads which is huge,” says Richard Miguelez, NSW state field mManager for Kraft Heinz. “We only have three reps on the road in New South Wales and it would take them months to find that many leads. “Here, they are all coming to us." Foodservice Australia also had a massive lineup of events. Below are some of the highlights. Foodservice unveiled its 2018 30 Under 30 awards program on Sunday May 27. A brand new initiative, it's dedicated to recognising the outstanding, young professionals working in the Australian foodservice and hospitality industries. Find out our complete list of chefs, restaurateurs, cafe owners, caterers, venue managers and front of house staff in the June issue of the magazine. The National Restaurant Conference took place on Monday May 28. Filled with practical advice regarding a range of topics including market trends, food delivery and technology, attendees heard from the likes of Christine Manfield, Josh Niland (Saint Peter), Dan Mylonas (The Grounds of Alexandria), Alistair Venn (Menulog) and Marta Pogroszewska (Gail’s Bakery, UK). Held on Tuesday may 29, the Aged Care Catering Summit focused on the future of dining in this expanding market. Speakers included John Casey (Aveo Group), Cheri Hugo (The Lantern Project), Lynn James (Maggie Beer Foundation), and Peter Morgan-Jones (HammondCare). Savour Patissier of the Year was a resounding success, attracting large crowds on the show floor as well as 160,000 viewers online. Organised by Australia’s ‘Queen of Chocolate’ Kirsten Tibballs, 30 pastry chefs battled it out over four categories - tarts, éclairs, entremets and desserts - before Guillaume Lopvet of Sydney's Sepia restaurant was crowned the overall winner. The Australian Professional Chef of the Year brought together a judging team of John McFadden, Adam Moore, Nick Whitehouse, Karen Doyle, Steve Belcher, Claire Van Vuuren, Julio Azzerello and Tony Panetta which saw top spot go to Jack Lee, who launches his own cafe, Beansmuggler, in Point Cook, Victoria, shortly. The ACF Restaurant Challenge was new to this year's Foodservice Australia lineup. Eight teams of three chefs prepared a two-course menu for 24 people at the show floor restaurant. The winning team was Clarke's Of North Beach (WA) made up of Stephen Clarke, Lauren Dodsworth and Belinda Barrett. The Dairymont Australian Pizza Championships ran over two days. And following heats in five categories, Mark Paterno of Arte Bianca Sydney was named winner with second and third place going to James Parker of Alphonsus Pizza at The Glen Hotel (QLD) and Raffaele Brotzu of Delisio Pizza Romana (WA) respectively. The next Foodservice Australia trade show will be held at the Melbourne Exhibition Centre from 23-25 June 2019. Bookings for exhibitor stands are open now, visitor registration will open later this year. 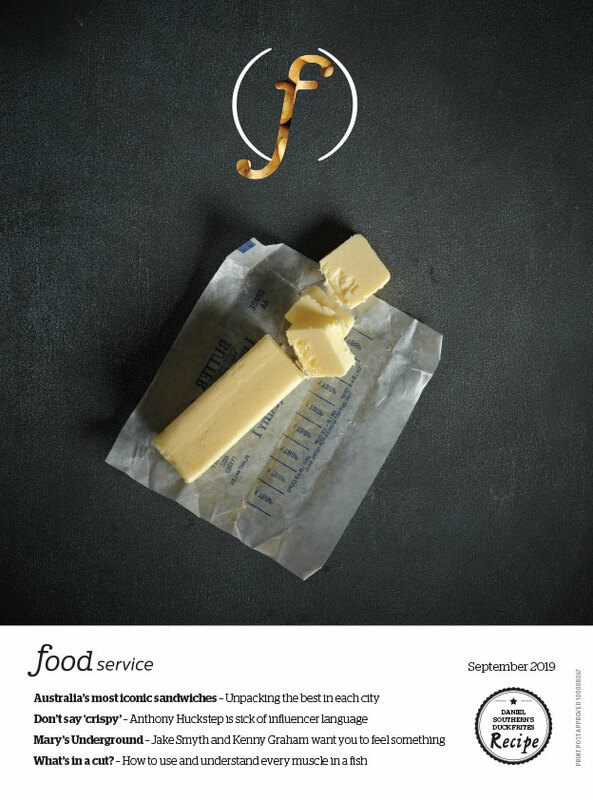 For further information, please visit foodserviceaustralia.com.au.